Good News For You: This is the only guide you need to familiarize yourself to all the Yeti Coolers On Sale. The fact is Yeti is the leading cooler brand, and their products transcend above the hype. Some may have convictions about the price, whether or not Yeti ice chests are worth it? 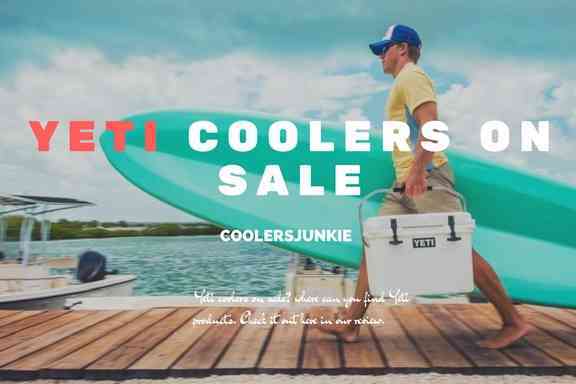 However, at the end of the day, Yeti are selling millions of coolers, this shows buyers are pleased with their products, and there’s user satisfaction at the end of it all. There are a lot of Yeti enthusiasts out there; you probably might be one. Or you probably want to join the team. It’ll be nice you know the Yeti coolers on sale. 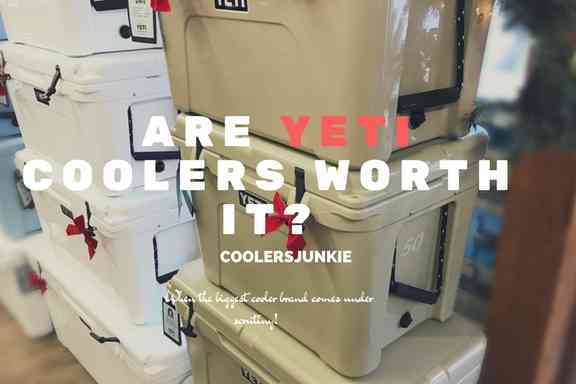 This will allow you have an in-depth knowledge of different Yeti cooler types, their sizes, and suitability for different occasions. 1.1 Where Are Yeti coolers Made? 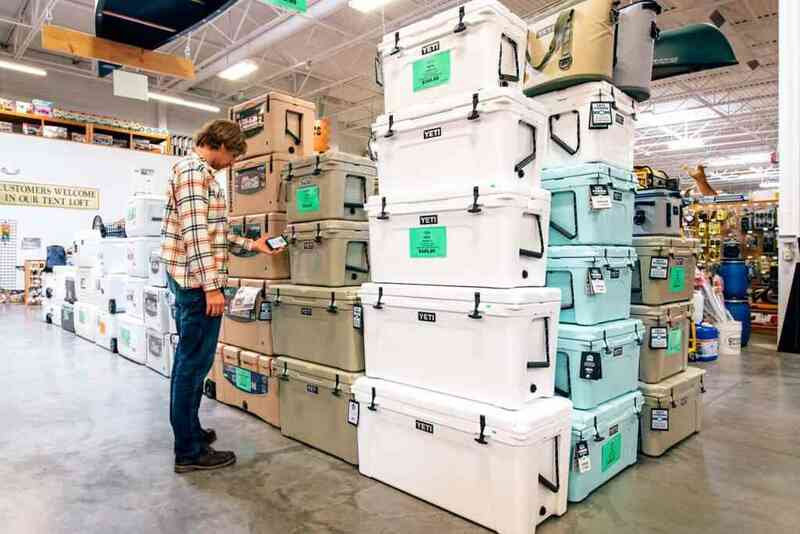 Yeti coolers don’t have a specific location where its coolers are manufactured. But the breakdown below would help you know where their different brands are made. And yes, you can call Yeti and ask if the manufacturing locale of the ice chest you intend to purchase. Tundra – The tundra & Roadie coolers are manufactured in the USA and Philippines. However, they have more facilities in the USA, with two located in the USA and one in the Philippines. 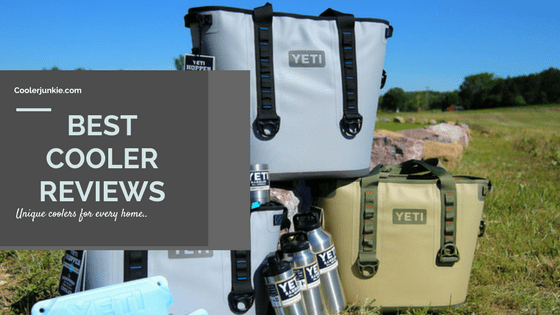 Hopper coolers – Hopper coolers alongside yeti products like the Rambler drinkware, and panga duffels are manufactured in China. This model promise to take away the pain of busted latches, bowed-in lids, melted ice and lots more. 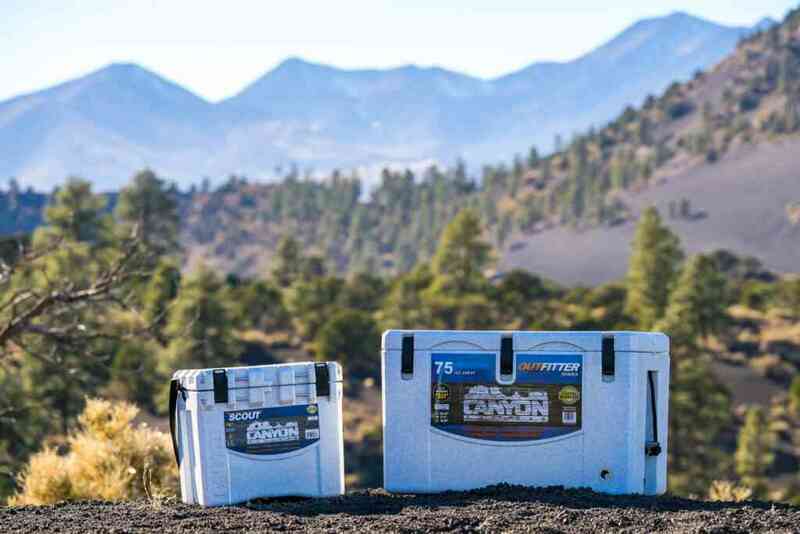 The tundra is the pacesetter among Yeti coolers. Rotationally made with hard plastic, the result is a product that can take survive harsh conditions than average ice chests in the market. The Tundra is equipped with two walls insulation for maximum ice retention. Most users have reported a whopping 7 – 10 days ice retention. Yes, you can use dry ice on the tundra. There’s also a purge valve for complete water draining. Considering its robust construction, Tundra are suitable for various outdoor activities like; Hunting, fishing, tailgating, barbecuing and more. 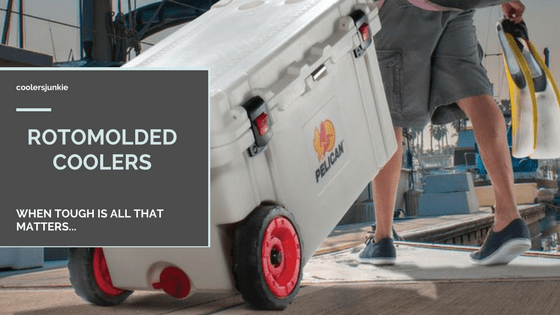 People that are always on the road & campers will love this cooler; it’s bear proof, and you wouldn’t be bothered about leaving it outside cause bears can’t break in. Talking about size, the Tundra comes in numerous sizes from 35 – 350 quarts. The smallest tundra 35 quarts can hold up to 35 cans, while the biggest Tundra 350 can store an excess of 350 cans. 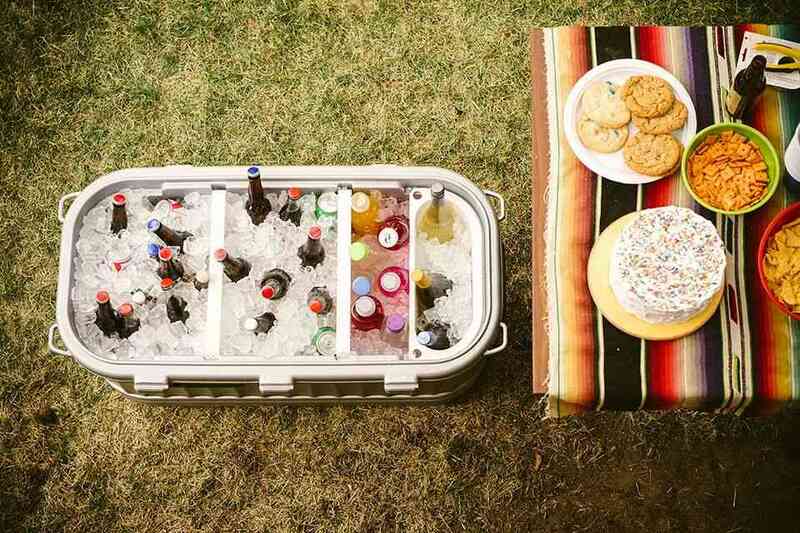 Whatever the occasion, there’s a yeti chest for it. Made of sturdy materials, the lid can take a whole lot of weight without caving in, this allows users to sit and relax on the lid. The handles are made for easy carrying around. Although quite heavy when filled, you’ll need help from friends to transport the cooler. In all, the Tundra ice chest is built to last. Although it’s expensive as any Yeti chest out there, you’ll definitely years of its service. Yeti roadie is like a puppy you can carry along, especially if you are the adventurous type. Just like the Tundra, but smaller, the roadie too is a cooler that’s constructed to survive tough situations. The rugged construction makes the exterior resistant to strong impacts. It has a fat wall design with up to two inches of insulation, and a quality polyurethane foam injected into the walls and lid ensures your ice stays for extended periods. Of course, It’s also a rotomolded cooler. With tie downs, it’s easy to mount the roader on your boat, or truck, the tie downs keeps it fixed without sliding. The lip-grip handles dexterously made so that you can easily carry your cooler. Leakproof drain system ensures the interior is not cumbersome to clean while purging water is extremely easy. The lid seals tight, and the gasket helps block out heat while the ice stays ice. Tired of busted latches? The heavy-duty rubber latches are made with patented technology, say goodbye to busted latches. Although not as big as the Tundra, the can fit as much as 20 cans plus ice. Yeti boasts of the hopper being anything but soft-sided. Although a bit exaggerated, the hopper is better than the cheap average soft ice chest. The Yeti hopper is very attractive; you’d hardly take this to a picnic, beach or camp without people looking your way. Yes, it’s that gorgeous. Around the walls of a cooler a closed-cell rubber foam which increase the ice retention. Additionally, the hyrolock zipper is sturdily built to withstand water & grime getting into the chest. A detachable shoulder strap and three sets of handles lets you carry load easier than ever. One thing we love about this cooler is the hitch point grid where you can easily fasten bottle openers or other valuables. Without a doubt, the hopper is a high-end cooler, but it’s however not wrong to say that it comes at a price. If are looking for a portable & convenient soft-sided bag that’s gorgeous, don’t look further. Might get a bit hard to open & close zippers. However, you can efficiently use a zipper lubricant, and everything will move smoothly. 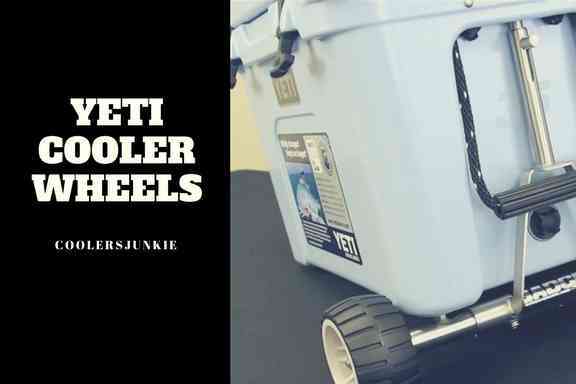 The Yeti tank is a step up to your regular ice bucket. There’s no single doubt about this; Yeti produces the best ice buckets in the market. Fill up the tub with ice and store your drinks, the walls of the tub is rotationally molded plus it utilizes an injected permafrost polyurethane foam which makes sure you ice stays for long. The no sweat design keeps it from making the puddle on the floor. Also, the four rubber feet ensures your tank stays put without leaving marks on your floor. With a drain plug, you can efficiently drain out water thoroughly. Another nice thing is the double haul handles covered with military-grade nylon to help you carry it with ease. This party tub comes in two sizes; 45 and 85 Quarts. Tired of lugging the cooler and you need to rest, thanks to the sturdy lid cover, you can sit and grab a drink while you enjoy the moment. Whether it’s tailgating, barbecuing, night – dawn party, this beastly tank will prove ready to take up any task. Seriously we didn’t find bad thing to write about the product. It’s excellent for its functions, and it doesn’t overlap. Yeti products aren’t just like any product. You can’t walk into any cooler retail shop and find Yeti coolers. The company has placed strict rules over affiliates that can sell their products. You have to find an authorized dealer, but you should be careful not to buy a Yeti knockoff in the process. 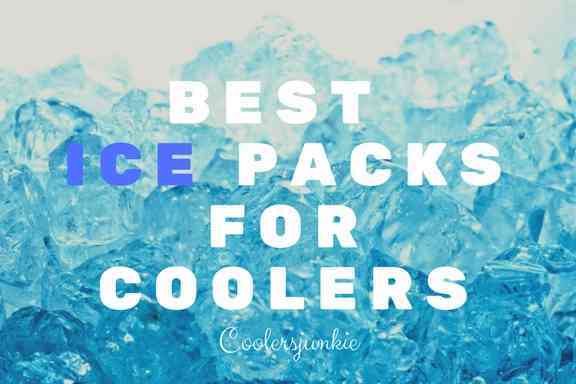 If you can’t afford Yeti coolers, you can find great alternatives to Yeti but cheaper. So where can you find certified Yeti ice chest? 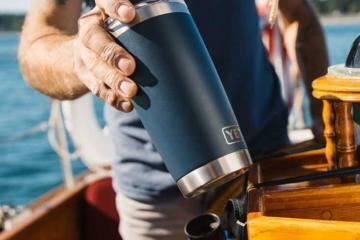 YETI – the company itself ships to any part of the world. 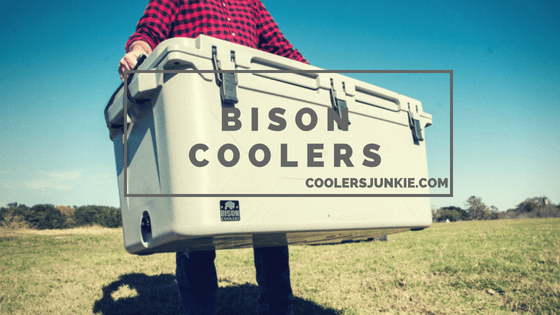 It’s easy, just log on to the site, find the cooler you want and add it to your cart. Amazon: Amazon has all the Yeti cooler types, yeti have accredited them as authorized dealers. The best part, you can get your product shipped to any part of the world. These two options above have all the Yeti coolers on sale. You don’t need to search else where.